Before you present or publish your own SoTL research, take the time to examine and learn from what others have done. Below is an example from Simon Fraser University. The SoTL research involved professors in the Mathematics Department along with the Centre for Teaching and Learning. 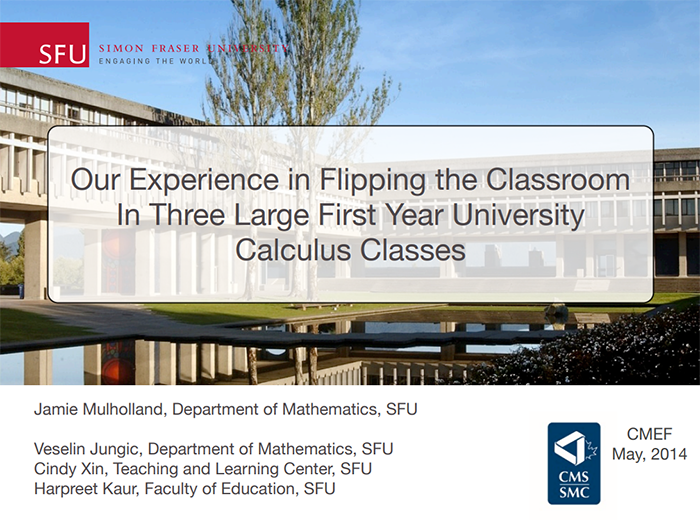 The team produced a number of videos and mounted them on a YouTube video channel as an advance organizer for large-enrollment, first-year calculus classes. 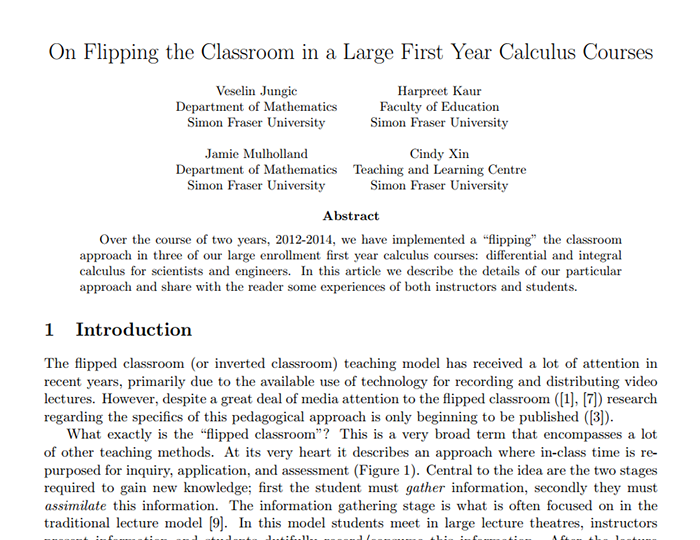 The videos were designed to serve as self-study teaching materials for a flipped classroom teaching model that the researchers implemented. They conducted research, produced presentations using PowerPoint slides, and published and disseminated papers on the SoTL study. Reflective practice is a key component of SoTL activity. Often, it is the reflections that practitioners make on their work that become the stimuli for their research ideas. Have a good look at each of the SoTL research outputs—the demonstrations of scholarship—from the SFU SoTL study. Update your SoTL research plan with a dissemination strategy for making public the key findings of your research study.